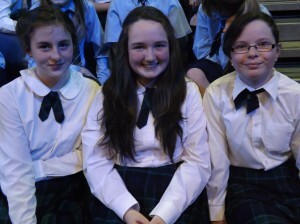 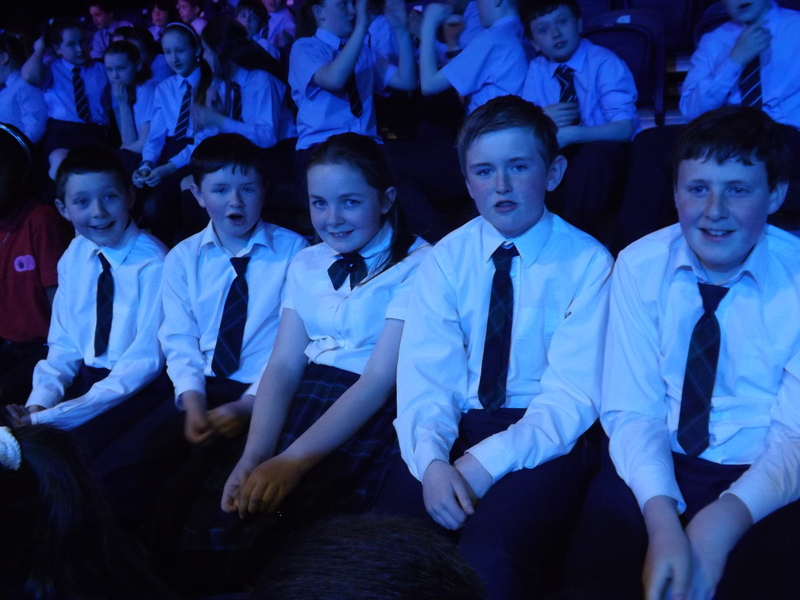 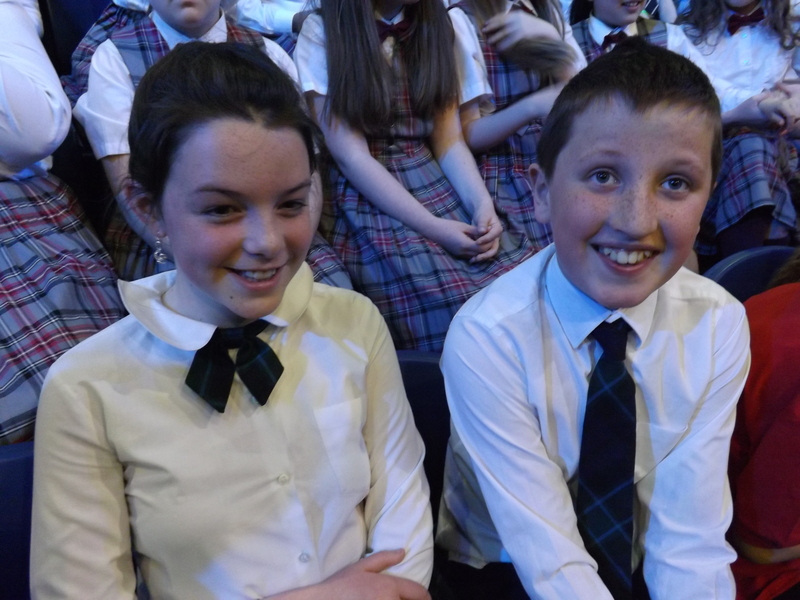 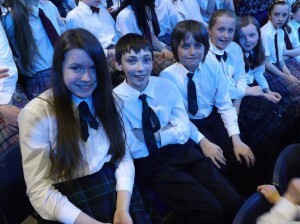 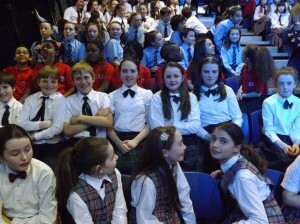 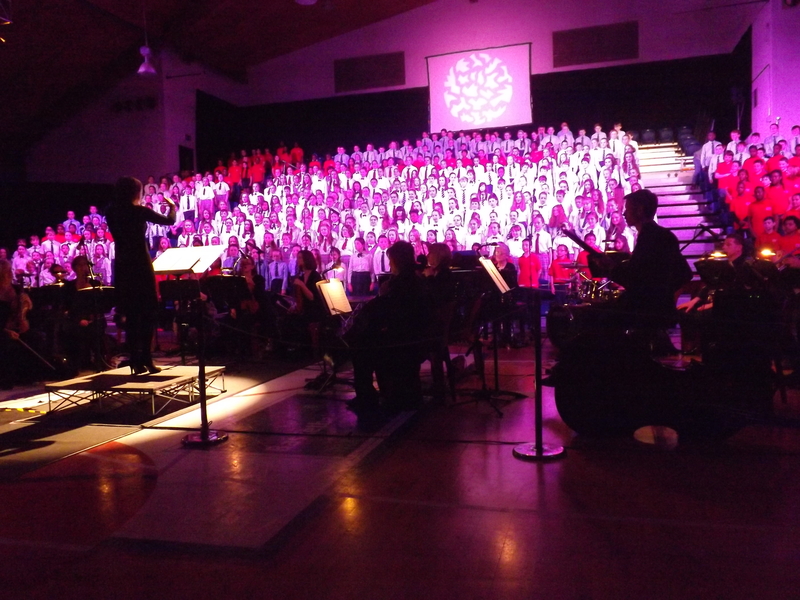 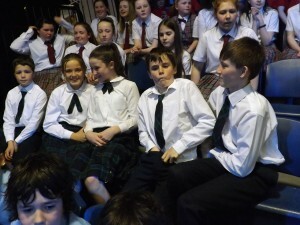 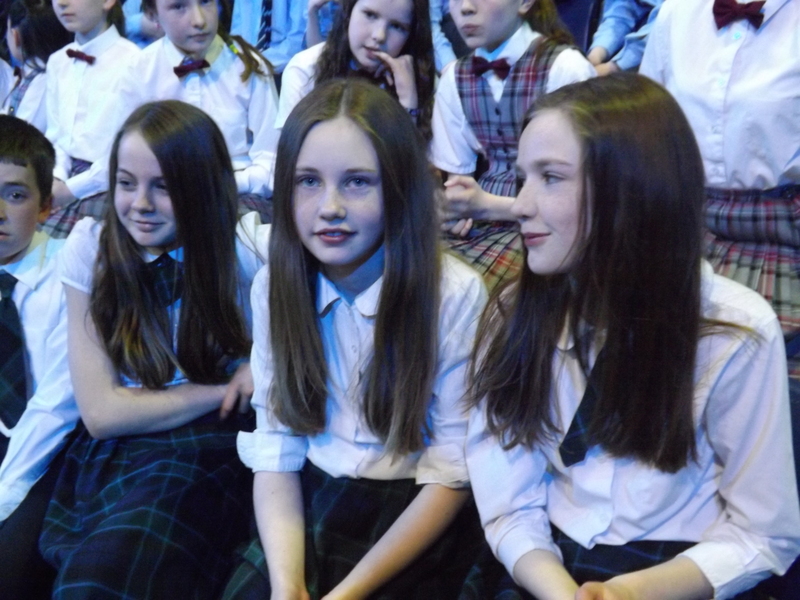 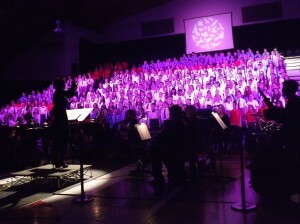 Our 5th & 6th class pupils sang in the ‘National Children’s Choir Regional Concert’ in the National Basketball Arena in Tallaght on Friday the 26th of April 2013. 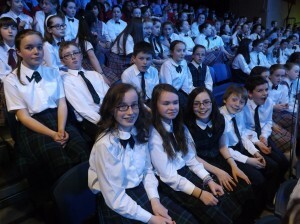 The pupils had been learning the repertoire of 16 songs in school since the beginning of the school year as part of their music curriculum. 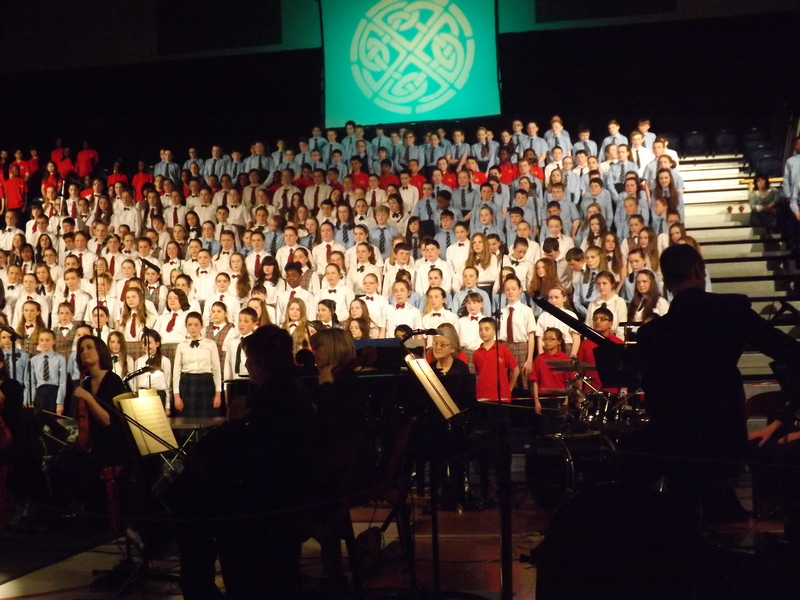 There were approximately 500 primary school children from all over Dublin singing as one choir, accompanied by a professional orchestra and conducted by Anne Purcell – one of the National Children’s Choir’s Musical Directors. The standard of singing & choral music was exceptionally high. 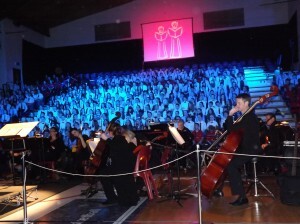 You couldn’t sit in the audience and not be moved by the wonderful, sweet and beautiful singing of the children on stage. The children deserve great praise & credit for how well they behaved and preformed on the night. 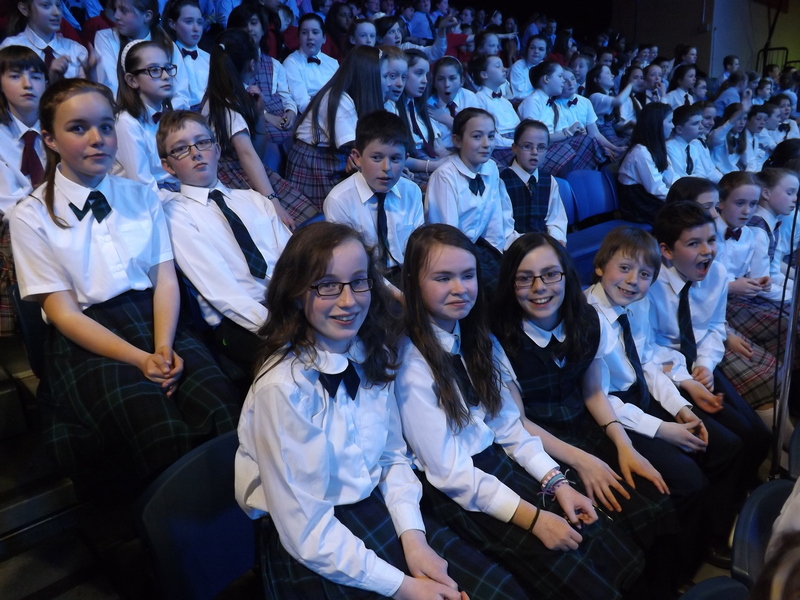 The repertoire was difficult and challenging, included classical, operatic, religious, traditional and popular songs that were sung in no less than 5 different languages – english, irish, latin, french & Italian! It really was a truly magnificent musical evening, one I hope the pupils and their parents have great memories of in the future.